In order to counter the risks of money laundering and terrorist financing, companies must have in place a proper system for transaction monitoring. It should give you the confidence that you are in control to make the right AML risk decisions. The responsibility of reporting suspicious transactions was emphasised after the first AML directive was introduced in 1991, and as the years go by, this obligation becomes even more critical. Here are three best practices to incorporate into your AML transaction monitoring process. First: proper risk analysis at client level. The better your KYC procedures are, the easier it is to identify discrepancies between a customer’s risk profile and a given transaction. Fully integrated KYC and transaction monitoring tools mean that the information collected at client on-boarding can be used to update the parameters of the transaction profile. This saves time, increases efficiency and prevents the potential loss of important information – compared to operating two separate systems. Second: comprehensive and current transaction profiles. Profiles should be kept up-to-date with all account details and beneficiaries noted, payment amounts and their frequency established. The information should be clear and easy to understand, with relevant supporting documents provided and the profile saved as part of the client acceptance file. The identification and monitoring of these transactions can be automated by establishing key parameters such as regularity, amount, and frequency of payments. Third: reassessment of previous and related transactions. Should an unusual transaction be flagged up, you should go back and review previous and related transactions. This process can provide insight to any possible patterns of unusual activity, followed by a review of the client’s transaction profile. The Fourth AML Directive even recommends that the effectiveness of a company’s transaction monitoring process be reviewed on a regular basis to allow a trend analysis to be carried out. Therefore, full access to past data is crucial. 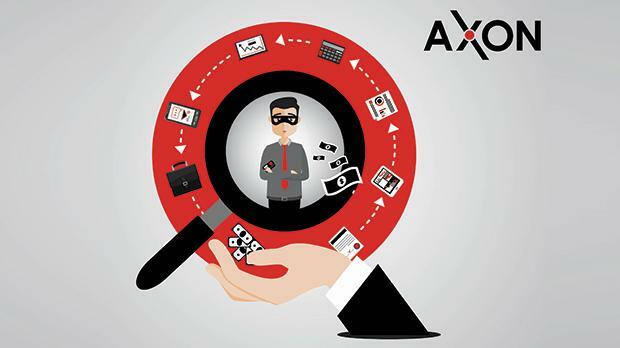 AXON AML Transaction Monitoring enables organisations to detect suspicious behaviour quickly and effectively. It optimises transaction monitoring by automating processes in order to minimise unnecessary alerts, while also offering real-time notifications and reporting. With AXON, compliance teams become more accurate and efficient in their monitoring of potentially fraudulent transactions. Visit www.computimesoftware.com or e-mail info@computimesoftware.com to learn more about AXON and how it can help your business fulfil its regulatory requirements.